Malik Herring (left) and Jeremiah Holloman (right) committed to Georgia on Thursday. Good day, UGA. Welcome to your one-stop shop for all the relevant UGA football news and takes every Monday through Friday. In today’s edition, we look at the continuing trend of insane commitment videos and receive an early Christmas present in the form of an insane commitment video. I don’t care what anyone says, “Wonderful Christmastime” is the GOAT Christmas song. Fight me. Georgia secured the commitments of Class of 2017 wide receiver Jeremiah Holloman and defensive end and Malik Herring, a pair of 4-star guys from here in the Peach State. And Holloman and Herring let the world know they will be Bulldogs in interesting fashion. The duo starred in surreal Christmas-themed video produced by SEC Country to make their announcements, featuring cameos from fellow UGA commits Jake Fromm and Richard LeCounte III. Behold it in all of its madness here. Commitments’ announcements have come a long way from the time when putting five hats on a table and picking one was considered about the craziest thing you could do. Now, it’s the most conservative way a recruit can pick his school. 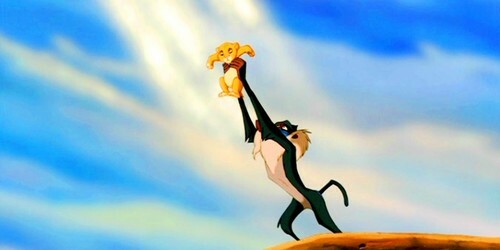 I began noticing the trend in wacky announcements in 2011 when Isaiah Crowell picked Georgia by lifting up a Bulldog puppy a la Rafiki and Simba. It continued that fall, when current Clemson senior defensive tackle Carlos Watkins picked the Tigers by driving a golf cart through a banner after one of his football games. But the insanity has really ratcheted up in recent years, largely thanks to the rise in professionally produced video announcements, like the one form Herring and Holloman, which has become a cottage industry of sorts. In 2015, Parker Boudreaux picked Notre Dame in a video of him pulling a school bus to reveal a Fighting Irish logo on the pavement. Last year saw the biggest ratcheting up of this trend yet. Two videos in particular stick. In one, a player committed to UCLA after a game of paintball eliminated other potential destinations until only the Bruins stood. But the most over-the-top commitment video by far belongs to Deontay Anderson, who committed to Ole Miss after jumping out of a plane last February. If the trend continues like it has over the past few years, Holloman and Herring’s video will only be the first in an avalanche of commitment videos we see between now and February. Now that we’ve discussed the really important stuff like recruits sky-diving and writing letters to Santa, it’s time we look at what Georgia is actually gaining in these two players. And both appear to have the potential to develop into important players for Georgia once they arrive in Athens next year. Let’s start with Holloman, a receiver from Newton High in Covington. One of the units Georgia needs to improve most is the receiving corps, and at 6-foot-2, Holloman has the kind of height Georgia needs to recruit consistently at the position. Small guys such as Isaiah McKenzie and Terry Godwin are good in doses, but it’s bigger-bodied guys like Holloman who can block well and pitch in on the run. Holloman isn’t huge and he isn’t lightening fast, but he’s big enough and quick enough to be dangerous on the post and in the open field. He’s the highest rated of Georgia’s four receiver commits and seems the most likely to fight for a role his freshman season. Herring is a 6-3, 265-pound defensive end from Forsyth. Herring is one of only two players committed to Georgia who project as defensive ends and the other, Robert Beal, could end up at outside linebacker. However, Herring is a sure bet to line up with his hand down in college, so his commitment was crucial for Georgia this season. As with most recruits, Herring is far from a finished product. More than anything, he’s an athlete who has gotten by in high school football by being bigger, stronger and faster than every player he faces. Although young players such as Julian Rochester and David Marshall might be ahead of him on the depth chart for a few years, if Herring adds some muscle to his frame and improves his pass-rush technique, there is no reason he can’t be contributing regularly by the time he’s a sophomore or redshirt freshman. Kirby Smart has made no secret that he wants to bring in more of the top talent from here in Georgia than Mark Richt did throughout his tenure. So far, he has lived up to that. The commitments of Herring and Holloman give UGA nine commits in the top 20 recruits from Georgia according to 247. That’s already more from the top 20 than the Bulldogs received in 2015 or 2016, and potential Bulldogs such as Aubrey Solomon, Deangelo Gibbs and Nate McBride still haven’t made a decision. Georgia has one of the best natural advantages in college football by being in the Peach State, one of the nation’s recruiting hotbeds. It’s high time the Bulldogs started to take advantage of it. Georgia volleyball coach Lizzy Stemke resigned Thursday after six years on the job. The Bulldogs only had one winning season during her time as head coach, and she finished her stint in Athens with a 79-105 overall record. Stemke’s hiring was one of the first major coaching personnel decisions made by athletic director Greg McGarity after he was hired in 2010. Many people have been critical of McGarity, not just for his management of the football program but his management of all UGA athletics. McGarity has been a part of seven coaching changes while in Athens, with only the retirement of Andy Landers in 2015 being voluntary. None of those coaching changes — in sports such as baseball, soccer, gymnastics and, of course, football — have yielded much success so far, giving more ammo to those who would like to see McGarity’s time in charge of Georgia sports come to an end. We’ll finally know Georgia’s bowl destination on Sunday, so I’m going to stop speculating about it. I’m almost thankful enough to dance. The good dog from Thursday is at it again. This dude has reached nirvana or something.